Known for his investigative reporting exposing scams in business, John Stossel turned to the biggest business of all - the government - and found his fan base transformed into his loudest critics. 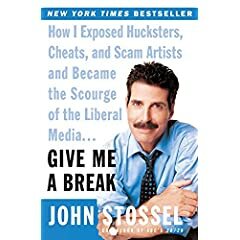 Stossel explores his career from business busting to governmental shenanigans in an honest and humorous way, exposing his own flaws and hypocrisies along with the targets of his criticisms. This sounded totally stupid. My spasms were very severe. My brother has similar back pain. The idea that our pain was in our head was insulting, but I was in enough pain that I was willing to try anything, and in short order, Dr. Sarno changed my life. Just talking to him and reading his book, Healing Back Pain , cured me. Today, when I feel the twinges of pain, I just tell my brain to knock it off, that I must be angry at lawyers, or my wife, or something. The pain goes away. Amazing. This approach to pain encapsulates my approach to Depression and Anxiety. When I first was told that my perception of reality was shaped by my attitudes, I thought it was bunk, but I was miserable enough that I thought I'd have a go at it to see if there were any noticeable changes in my life. I was astounded by how skewed my perceptions were once I kept track of what was really happening in my life. My very thoughts affected my day to day living. 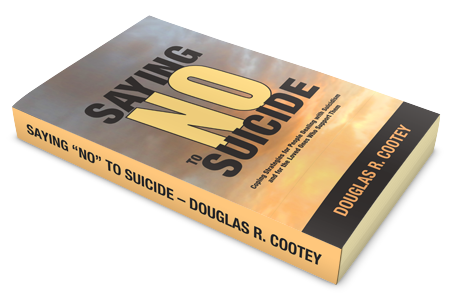 I then extended this approach to Depression by way of positive thinking to fantastic success. It took years for me to train myself, but now when I feel Depression coming on I tell my brain to knock it off, that I must be tired, or stressed, or hungry, or something and the Depression goes away. Whereas I once spent weeks at a time in a heavy funk, unable to leave the couch, go outside, meet with people, etc, I can now control the sadness and drive it away by will and thought. It is amazing, but many people who read this blog find the concept that Depression is "in their head" very insulting. In my experience, however, no truer concept could be taught. We have so much more power over our mind than we are led to believe. Why you should read this book: You like to read about creeps, greedy execs, and liars getting it in the neck when they try to scam people. Why you shouldn't read this book: You don't like seeing the same investigative reporting used to target your pet government institutions. AD/HD Friendly? Yes. Chapters are broken up in mini-sections, easy to digest, and more importantly, easy to put down.